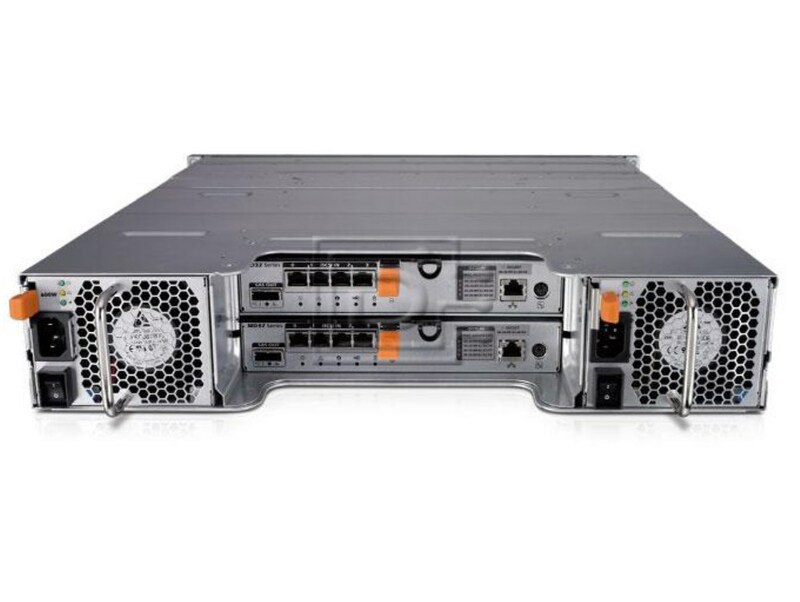 PowerVault MD3200i arrays offer exceptional performance and flexibility for storage consolidation and scalability to meet unexpected business demands. Now it’s simple to improve storage utilization by combining storage resources, increasing availability with redundant hardware, and streamlining the backup process. A single management interface and a single system to back up also reduce management complexity. Reduce the effort required to store and manage your data. MD3200i series arrays can support up to 32 physical servers when connected to one or more 1Gb Ethernet switches. Storage capacity, up to a maximum of 96 hard disk drives, can be expanded by attaching a PowerVault MD1200 and/or MD1220 expansion enclosure. Implement your network storage solution for less with MD3200i series arrays using low-cost, well understood 1Gb Ethernet technology rather than typically complicated and expensive Fibre Channel solutions. Along with significant savings in hardware, IP SANs can also lower training costs. Ethernet is a familiar technology, so there’s usually no learning curve. Now you can effectively consolidate storage to support the value of your virtual environment. MD3200i storage systems are fully qualified for use in virtualized application environments with VMware® ESX and Microsoft® Hyper-V™ software. MD3200i arrays deliver an excellent performance/price ratio. Take advantage of a next-generation array with four (4) iSCSI ports per controller that offers a 2x performance improvement compared to earlier MD storage arrays. They easily handle the application demands of large databases with increased processing capability. These arrays also support solid state drives (SSD) to meet the most demanding I/O requirements. An optional High Performance Tier firmware upgrade is available to increase array I/O performance. MD3200i series arrays are managed by the advanced MD Storage Manager software, an intuitive client-based Java application. Designed for easy user interaction with the system no matter what your level of familiarity with storage systems, it offers two different management paths and features an enterprise window that monitors multiple systems, including previous generation MD3000i arrays, through a single interface. Wizard-based array management helps simplify the configuration process. MD Storage Manager detects and alerts you to problems then launches an automatic Recovery Guru to help you troubleshoot and resolve the problem. It’s simple—the expertise is built into the software. Scale up. Mix and match drive types to create your optimum tiered data environment. Scale Easily: Up to 32 servers can be connected to a single MD3200i or MD3220i storage system. Storage capacity can be expanded up to a total of 96 hard drives. Scaling capacity is as simple as plugging in additional PowerVault MD1200 and/or PowerVault MD1220 enclosures. Mix and Match Drives: MD3200i arrays can hold up to twelve (12) 3.5 inch form factor hard drives and MD3220i arrays hold up to twenty-four (24) 2.5 inch drives. Both the MD1200 enclosure (twelve 3.5” hard drives) and the MD1220 enclosure (twenty-four 2.5” drives) can be added behind MD3200i series arrays, enabling you to mix 3.5” and 2.5” drives in the same array. This flexibility enables data tiering for optimizing system performance. Snapshots: Take point-in-time snapshots of data for backup and other operations. The MD3200i series supports up to 8 snapshots per virtual disk and a total of 128 snapshots per system. Virtual Disk Copy (VDC): Make exact, point-in-time full replications of existing virtual disks for decision support and software development testing. Self-encrypting Drives (SEDs): SEDs encrypt everything written to the drive and de-crypt everything read from the drive. Once an SED is secured, it becomes “locked” and unreadable by unauthorized persons if the drive is ever powered down or removed from the array. SATA interface drives are not supported with the MD3200 and MD3220. 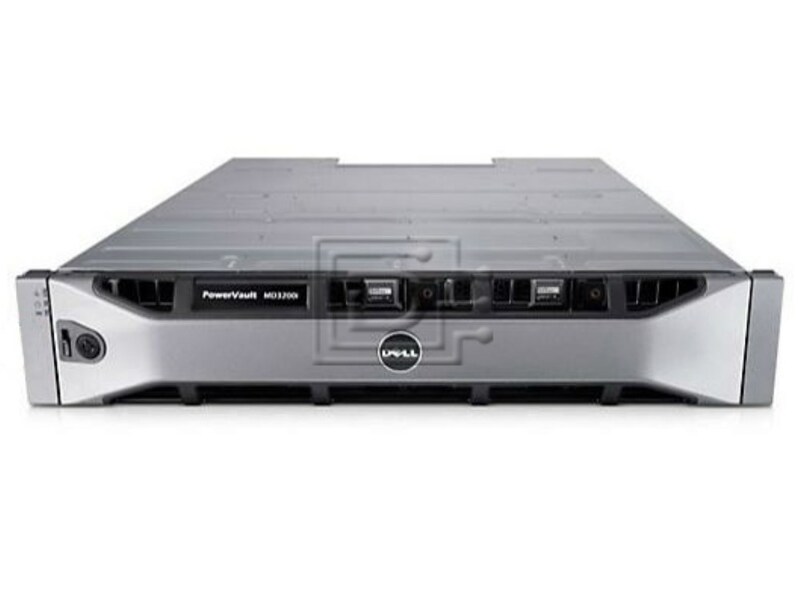 Compatibility: This Dell storage array is compatible with Genuine Dell Certified hard disks. Note: For altitudes above 2950 feet, the maximum operating temperature is de-rated 1°F/550 ft.